Margaret Battin research article was false when published in 2007 and remains false today. Euthanasia supporter and researcher, Margaret Battin, wrote an article that was published in the Journal of Medical Ethics in 2007 that suggested that there was no evidence that vulnerable groups were negatively affected by the legalization of euthanasia and/or assisted suicide. The article also suggested that there was no proof that a slippery slope exists. The Battin article is important because the suicide lobby claims that this article definitively proves that we have nothing to fear by the legalization of euthanasia or assisted suicide. Battin examines the data from the Dutch (5 year) euthanasia reports and the annual assisted suicide reports from Oregon and concludes that people who are members of vulnerable groups are not adversely affected by the legalization of euthanasia or assisted suicide. Euthanasia without request or consent. The concern that people are dying by euthanasia without request or consent is ignored by Battin. The 2005 Netherlands report shows that there were approximately 550 deaths without explicit request or consent. These deaths are not part of the euthanasia statistics which showed that there were approximately 2297 euthanasia deaths and 113 deaths by assisted suicide in the Netherlands in 2005. Since the time of the Battin article new research concerning the practice of euthanasia in the Flanders region of Belgium that was published in the CMAJ in May 2010 concluded that up to 32% of all euthanasia deaths are being done without explicit request or consent. A similar study concerning the role of nurses in the practice of euthanasia in the Flanders region of Belgium that was also published in the CMAJ in May 2010 concluded that 45% of all euthanasia deaths, by nurses, were done without explicit request or consent. 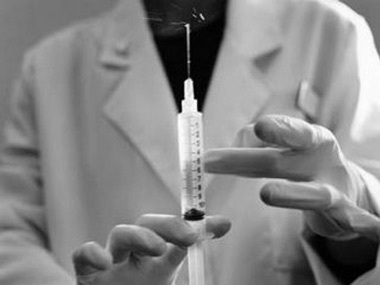 It is important to note that the researchers indicated that the time the decision to lethally inject the person, without request or consent, was made by the doctor 70.1% because the person was comatose, 21.1% the person had dementia, and 8.2% the doctor deemed the discussion to be harmful. How can people who do not want to die by euthanasia be protected when it is done without request or consent? Choice is an illusion. Depression people dying by euthanasia or assisted suicide. In other words, van der Lee is trying to prove that there was no connection between euthanasia and depression. Battin concludes that since the van der Lee study does not indicate whether requests for euthanasia by depressed people actually resulted in death by euthanasia, that she draws no conclusion from this data. A study by Linda Ganzini, a co-author of the Battin article, and published in the British Medical Journal (2008) examined the prevalence of depressed people asking for assisted suicide in Oregon. Ganzini had 58 participants who had requested assisted suicide. She found that 26% of the participants were depressed or had “feelings of hopelessness”. The Ganzini study proves that depressed people are dying by assisted suicide in Oregon. The study links the fact that depressed people who request assisted suicide in Oregon are not being referred for a psychiatric or psychological assessment. In 2007, 49 people who were reported to have died by assisted suicide in Oregon, none of them were referred for a psychiatric or psychological assessment. The 2005 Netherlands report concludes that 80.2% of all euthanasia or assisted suicide deaths are reported. A recent study that was published in the British Medical Journal (Oct 2010) on reporting of euthanasia in the Flanders region of Belgium found that only 52.8% of the euthanasia deaths were reported. The study indicated that euthanasia deaths that were not reported were often “unconventional.” For instance, a written request was not present, a palliative care consultation was not done, euthanasia was more often done by opioids or sedatives or both and the act was more often done by a nurse. 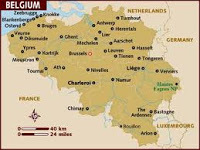 The most recent Belgium report indicates that the number of reported euthanasia deaths continues to increase and that concerns exist concerning the under-reporting of euthanasia deaths in the French region of Belgium. Battin claims that there is no evidence for a “slippery slope” effect in the Netherlands or Oregon. Battin seems to have redefined the term slippery slope. My conclusions concerning the Battin article, that is upheld by the suicide lobby as “proof” that euthanasia and assisted suicide is a “safe practice” have not only not changed but have been strengthened by recent studies that prove that Battin was wrong. I was going through my email alerts and found this letter that was written by Sheila Fisher and published as a letter to the editor in the Brantford Expositor on August 17, 2011. Sheila Fisher's story is important to explain to the world how these suicide promoting websites are being accessed by depressed people and how these suicide deaths are devastating to the family. The other point is that the suicide lobby suggests that the government is not willing to debate the issue of euthanasia. The fact is that Bill C-384 was debated in the previous parliamentary session and soundly defeated by 228 to 59. 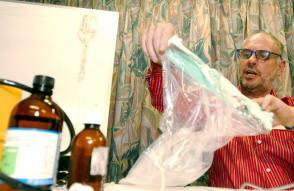 Euthanasia drugs stolen from veterinary clinic in California. A news report published in the Marinscope Community Newspapers is warning the local residents of a cache of drugs that were stolen from a local veterinary hospital. San Anselmo police have issued a warning to residents to be on the lookout for a dangerous cache of drugs stolen from a San Anselmo veterinary hospital early Tuesday, Aug. 23. An employee of the Ross Valley Veterinary Hospital… discovered the back door unlocked and several controlled substances had been stolen from a locked medicine cabinet. Among the drugs is Euthasol, a substance used for the humane, painless and rapid euthanasia for dogs, San Anselmo Police Detective Corp. Julie Gorwood said. Euthasol contains pentobarbital sodium and phenytoin sodium, according to one drug web site. The drug hastens the stoppage of electrical activity in the animal’s heart. Gorwood said there was no sign of forced entry on the building. “We’re not really sure how they got in or if someone had a key or the door was left open,” Gorwood said. The other controlled substances stolen were opiates, Hydrocodone (more commonly known as Vicodin), Hydromorphone (Dilaudid) and an anesthetic Ketamine and Morphine, used primarily for pain relief. No computer equipment or other valuables were taken, Gorwood said. Police want to warn residents not to touch the contents if found. If the cache of drugs is found, please phone the police department immediately. Anyone with information should also contact police. The Euthanasia Prevention Coalition wonders if Philip Nitschke, has caused the increase in veterinary hospital break-ins? Nitschke, Australia’s Dr Death, sells an online book that details how a person can kill themselves. Since the publication of his online book, there has been a growth in break-ins related to stealing controlled substances from Veterinary hospitals for the purpose of suicide. In February 2010, a study that was released by the Victorian Institute of Forensic Medicine indicated that there had been 51 known Nembutal deaths in Austalia in the previous 10 years. Link. People who are depressed or experiencing feelings of hopelessness, are purchasing Nitschke’s book online. They are breaking into Veterinary Hospitals because Nitschke explains in his book that these lethal drugs can be bought from unscrupulous veterinarians or veterinary drug suppliers. Veterinary hospitals need to change their storage procedures to ensure that depressed people with psychological or psychiatric needs cannot easily obtain these lethal drugs. Massachussetts has been chosen to have the next assisted suicide Initiative in 2012 election. The Death With Dignity Coalition has launched an assisted suicide initiative for the November 2012 election in Massachussets. The states of Oregon and Washington legalized assisted suicide via a citizens initiatives. The most recent campaign was the I-1000 initiative (November 2008) that resulted in the legalization of assisted suicide in Washington State. The I-1000 initiative resulted in the suicide lobby focussing all of their fundraising and people resources on the Washington state campaign. The suicide lobby was able to outspend the Coalition Against Assisted Suicide by nearly a $4 to $1 ratio. "The Massachusetts Death with Dignity Act is currently pending approval by the Attorney General’s office before signatures must be collected for placement on the 2012 ballot. The review process will be completed by early September." My previous blog post explains the rules that will need to be followed by the suicide lobby to get this initiative on the November 2012 ballot. Jean Echlin, the founding Vice President of the Euthanasia Prevention Coalition and a nurse consultant in palliative care and gerontology wrote this article on the Rasouli case that was published today in the Windsor Star. The Rasouli case concerned the question: Who has the right to decide to withdraw life-sustaining medical treatment. The doctors said that they had the unilateral right to decide to withdraw life-sustaining treatment, while the courts decided that the doctor must obtain consent before withdrawing life-sustaining treatment. The unanimous decision by the Ontario Court of Appeal is being appealed, by the doctors, to the Supreme Court of Canada. Echlin explains some of the issues related to the Rasouli decision within the complex dimension of modern medicine. Decisions like this are fraught with anxiety, fear, moral and ethical issues and dilemmas. Differences of opinion are rampant. How is persistent vegetative state diagnosed? How is total brain death diagnosed? What criteria are acceptable to patients, families or alternative decision-makers, doctors and nurses? How are all findings communicated to patients and their significant others? How and who decides to initiate a ventilator and tube feedings? How and who decides to discontinue this life support? Is there a palliative care consultation to discuss end-of-life issues? Often the "treatment plan" is implemented in emergencies. After a time, the patient im-proves, deteriorates or remains unchanged, calling for change in the treatment plan, often resulting in confusion. When the patient is non-responsive to treatment or is deteriorating, doctors will use clinical data and judgment to decide if continuation of artificial ventilation and feeding is futile. The family may totally disagree, based on their perception that their loved one is responsive and will improve, given time. Their moral, religious and cultural values have an enormous impact on their decision-making choice to say no to discontinuation of lifesupport. Health care providers must understand that, as a general rule, none of us want to choose death for a loved one. The impasse in the Hassan Rasouli case is a typical example and has been reported in various Canadian newspapers and media. It was reported that Rasouli entered Sunnybrook Health Sciences Centre in Toronto in October 2010, for removal of a benign brain tumour. After surgery, the 59-yearold retired mechanical engineer developed bacterial meningitis and encephalitis, causing widespread damage to his brain. He was placed on a ventilator, and a feeding tube was inserted. Later, his doctors described him as being in a "persistent vegetative state" with no hope of recovery, and thus wanted to remove life support. Rasouli's wife and children disagreed, believing he was responding. His wife, Parichehr Salasel, a doctor in her native Iran, argued that giving up on him would violate his Shia Muslim beliefs, and this led them to seek legal assistance. The Euthanasia Prevention Coalition obtained intervener status on behalf of the patient and family. On July 8, Alex Schadenberg, executive director and international chair of Euthanasia Prevention Coalition announced: "EPC's interven-tion in the Rasouli case was successful." The three-judge Court of Appeal agreed with the position of EPC that "withdrawing life-sustaining treatment represented a change in the treatment plan. This decision requires a doctor to obtain consent before withdrawing life-sustaining treatment." Schadenberg considers "the Rasouli decision a huge victory for individual rights and protects the values of Canadians." EPC lawyers argued: "Since life-sustaining medical treatment is part of the patient's treatment plan, discontinuation of life support required the consent of the person or substitute decision maker." Without reading the court document, I understand that, in Rasouli's case, doctors do not have the unilateral right to "pull the plug" even if they believe this treatment is futile. This raises the question: Who has the right to decide? The issue creates a dilemma for patients, family and the health care team. Doctors are under pressure regarding limited resources; there is no athome support for persons on ventilators; there are individuals in emergency rooms waiting to access critical care beds. In our current economy, health care resources are stretched to their limit. There seems to be no one answer. Most questions remain unanswered. In Ontario, when a disagreement occurs between doctors and families about discontinuation of treatment that supports life, there is an alternative. The Consent and Capacity Board can adjudicate toward a decision that reflects the "best interests of the patient." Advanced technology and increased use of intensive care units give us a hint of immortality. This challenges us to find answers to critical life-and-death questions. As a death-denying culture, we fail to consider dying as part of the life cycle. Unfortunately, to most, death represents a failure of acute care. When the prognosis for recovery is dismal, many approaches can mitigate a potential hassle between medical staff and family. It is necessary for comprehensive and continual feedback to the patient and all concerned regarding essential medical information and any changes necessary in the treatment plan. Effective and compassionate communication skills are vital to co-operative decision-making. The how, when and who decides are issues that must be examined as priorities by all Canadians. A major question is: Do we want our end-of-life care in an intensive care setting, hooked up to machines, or is a quiet, dignified program of hospice palliative care a better alternative? The Euthanasia Prevention Coalition is concerned that if the Supreme Court of Canada hears the Rasouli case, that they may impose a new criteria to end-of-life decision making on all Canadians. The unanimous decision of the Ontario Court of Appeal that upheld that consent is required before life-sustaining treatment can be withdrawn is a good decision and the Supreme Court of Canada should decide to not take up the Rasouli case. The Euthanasia Prevention Coalition (EPC) is seeking intervener status in the BC Civil Liberties Association (BCCLA) - (Carter/Taylor) case expected that the Farewell Foundation case would be rejected because they lacked standing in the court. The Farewell Foundation, founded by euthanasia lobby leader, Russel Ogden, sought to legalize "Swiss syle" assisted suicide in Canada, meaning that doctors and others could be involved with assisted the suicide of people who are in the most vulnerable time of their life. The BCCLA (Carter/Taylor) case differs from the Farewell Foundation case by the fact that it seeks to legalize physician assisted suicide, whereby doctors prescribe suicide, and physician directed euthanasia, where physicians administer a lethal injection. The EPC considers the BCCLA case to be dangerous to public safety and a recipe for elder abuse. The scourge of elder abuse has become a national concern and the prevention of elder abuse has become a national priority. Elder abuse is horrifically under-reported because research indicates that up to 70% of the time it is done by family members or people to whom the victim is dependent upon. The BCCLA case will open new avenues for elder abuse because it would enable family members and care-givers to subtly pressure or coerce a vulnerable person into "choosing" death by lethal dose. For many, choice will be only an illusion. The EPC rejects the idea that it is somehow necessary to legalize euthanasia or assisted suicide to have a dignified death. A parliamentary committee that has investigated and is making recommendations for improvements in Palliative care, Elder Abuse prevention, Suicide prevention and the needs of Canadians with disabilities, is due to release its report in November 2011. The BCCLA cannot suggest that legalizing euthanasia is necessary before it has given the government a chance to implement this report. The EPC is also very concerned with the one-sided presentation by the media of these cases. I cannot remember a more monolithically one-sided presentation by the media of an important social question. Even though the EPC is seeking intervener status in the case, we have been rarely contacted, even after sending out a media release, and when contacted and interviewed our comments have gone missing from the article. Media outlets will state that Canadians support the legalization of assisted suicide, even though the media has utterly failed at providing a balanced perspective. Farewell Foundation case rejected. BCCLA case is a recipe for elder abuse. The Vancouver Sun reported that the case by the Farewell Foundation, a group in BC that is trying to legalize assisted suicide, was thrown-out by Justice Lynn Smith. The Farewell Foundation was attempting to legalize "Swiss style" assisted suicide in Canada, which means that they wanted the law to allow doctors and other people to be able to assist a suicide. Justice Lynn Smith ruled the foundation did not have a strong enough case to challenge the law, saying anonymous members of the group must identify themselves in order to prove the law directly affects them. However, Smith invited the group to apply to intervene in a parallel right-to-die case led by the B.C. Civil Liberties Association. The Farewell Foundation for the Right to Die had argued that the law against assisting suicide — which carries a maximum penalty of 14 years in prison — violates its members’ right to die with dignity in the future. Of the group’s 117 members, only five were identified as plaintiffs in the case. One of the plaintiffs committed suicide in July. 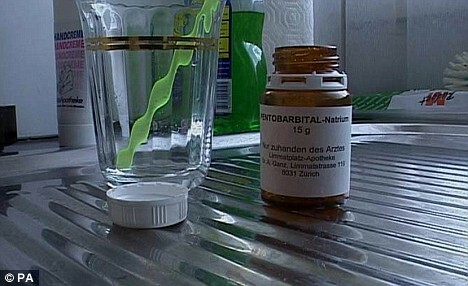 Donnaree Nygard, lawyer for the federal attorney-general, argued the case was “hypothetical” because the plaintiffs were not facing criminal charges for assisted suicide. Farewell Foundation lawyer Jason Gratl said the group attempted something new by challenging a law on behalf of anonymous members, and was unsuccessful. “Justice Smith found that if the Farewell Foundation wished to bring a constitutional challenge, the members whose health is deteriorating must identify themselves,” he said. Russel Ogden, a founding director of the Farewell Foundation, said he was encouraged by the invitation to intervene by Smith, who is also overseeing the BCCLA case. If its application to intervene is approved by the court, the foundation would be able to advance many of the same arguments it would have presented in its challenge to the Criminal Code, Ogden said. A party with intervener status may introduce evidence and cross-examine witnesses. The BCCLA-led case was recently fast-tracked due to the failing health of plaintiff Gloria Taylor, 63, suffering from late-stage amyotrophic lateral sclerosis, also known as Lou Gehrig’s disease. The trial is set to begin Nov. 15. The case proposes a medical model that restricts the assisted-suicide procedure to medical professionals. The Farewell Foundation, on the other hand, advocates the Swiss model, in which right-to-die organizations oversee the procedure. “Many of our members do not see this as a medical procedure, and do not want it to occur in a clinical setting,” Ogden said. Last year the Parliament of Canada rejected Bill C-384 that was sponsored by Francine Lalonde (BQ) which would have legalized euthanasia and assisted suicide, by a vote of 228 to 59. Since then an all-party committee of members of parliament have been working on a report to suggest ways that Canada needs to improve its care in the areas of: Palliative Care, Suicide Prevention, Elder Abuse and Disability issues. The Parliamentary Committee on Palliative and Compassionate Care will release their report in November 2011. The Euthanasia Prevention Coalition (EPC) is seeking intervener status in the BCCLA case. EPC expected that the Farewell Foundation case would be thrown out because it lacked standing in relation to how serious it is to legalize euthanasia and assisted suicide. The Farewell Foundation case attempted to legalize, "Swiss style" assisted suicide while the BCCLA (Carter/Taylor) case is attempting to legalize euthanasia and assisted suicide via the court. The EPC recognizes that the laws that prohibit euthanasia and assisted suicide are designed to protect people in the most vulnerable time of their life. The EPC rejects the concept that it is necessary to legalize euthanasia and/or assisted suicide in order to ensure a "death with dignity". EPC also understands that societal attitudes will lead to people with disabilities being steered towards euthanasia and elders who are vulnerable or being abused by family members or care-givers will be subtly pressured to die. These people will not "freely choose" but rather they will be coerced into dying by others who the person has been manipulated by and who that elderly person is dependant upon. On August 4, the Euthanasia Prevention Coalition (EPC) reacted to the decision by Justice Lynn Smith, to fast-track the (Carter/Taylor) case which challenges Canada's laws that protect vulnerable people from euthanasia and assisted suicide. This update provides further information. Justice Smith, agreed to fast-track a challenge to Canada’s euthanasia and assisted suicide laws by the BC Civil Liberties Association (BCCLA) who are representing Gloria Taylor and the family of Kay Carter, the (Carter/Taylor) case. The case will be heard starting on November 15, 2011. Last year, Canada’s parliament rejected Bill C-384 that would have legalized euthanasia and assisted suicide by a vote of 228 to 59. After losing the political debate, the right to die lobby is bringing their demand for legalized killing to the courts. The BCCLA claims that euthanasia and assisted suicide can be legalized with strict safeguards. A study, published in the CMAJ (May 2010) found that 32% of the euthanasia deaths in Belgium were done without request or consent. 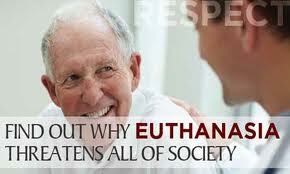 Another study published in the BMJ (Oct 2010) found that only 52.8% of the euthanasia deaths in Belgium were reported. In Oregon, where assisted suicide is legal, the overall suicide rate has climbed since 2000 and is now 35% higher than the national average. At the same time people, such as Barbara Wagner & Randy Stroup, who were denied medical treatment by the Oregon Health plan have been steered to accept assisted suicide. The BCCLA launched the Carter case in April, 2011 claiming that Canada’s criminal code provisions that protect people, at the most vulnerable time of their life, from euthanasia and assisted suicide were unconstitutional. The Carter case concerns the family of Kay Carter who accompanied their mother to Switzerland when she died by assisted suicide at the Dignitas suicide center. The claim states that Kay Carter’s rights were violated by a law that prevented her from dying by euthanasia or assisted suicide in Canada. The claim also states that Lee Carter and Hollis Johnson broke the law by aiding, planning and possibly encouraging their mother to go to the Dignitas suicide center. Lee & Hollis stated that they could potentially be prosecuted by Canada’s assisted suicide law, that they consider to be unconstitutional. The Carter/Taylor case is asking the court to legalize assisted suicide and what they refer to as “Consensual Physician-Assisted Death” (euthanasia). Consensual Physician-Assisted Death is defined as: the administration of medication or other treatment that intentionally brings about a patient’s death by the act of a medical practitioner. This definition means that they are asking the court to legalize euthanasia by consent. The Carter/Taylor claim uses confusing definitions. It states: For the purpose of this claim, “physician assisted suicide” and “consensual physician-assisted death” will be defined as “physician-assisted death.” The media continues to refer to “physician-assisted death” as assisted suicide. On June 28, 2011; the BCCLA launched an amendment to the Carter case by adding Gloria Taylor (63) to the statement of claim. Taylor, who lives with ALS, says that she wants to die by euthanasia or assisted suicide and the laws that prevent her from dying in this way are unconstitutional. Taylor’s condition, as stated by the BCCLA, created a greater level of urgency for the case which was the reason that Justice Smith agreed to fast-track the case. Taylor demanded that if the court could not make a timely decision that it should exempt Taylor and her doctor so that she could be killed by euthanasia or assisted suicide in a manner approved by the court. To create even greater urgency to the case, the BCCLA demanded that if the court is not able to make a timely decision, that the court must pay all costs related to the case and the required care for Taylor. In the meantime, “the Farewell Foundation case”, that is also attempting to legalize assisted suicide through the court, may go into legal limbo or be joined to the Carter/Taylor case. The Carter/Taylor is a serious attempt to strike down Canada’s laws that protect its vulnerable citizens from euthanasia and assisted suicide. EPC is seeking intervention status in the BCCLA (Carter/Taylor) court case. Our intervention application will decided by the Court this October. 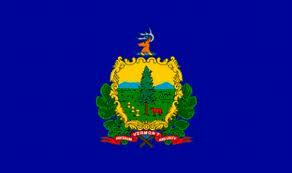 Assisted Suicide is pushed as a cost saving measure in Vermont. True Dignity Vermont confirmed that Stephen Kimbell, the man who is implementing health care reform in Vermont is in fact counting on the legalization of assisted suicide in Vermont as a cost saving measure. The editor of the Addison Independent has confirmed to one of our sources that Stephen Kimbell, the man who will administer the implementation of the health care reform plan recently adopted by the VT legislature , really did make the statement we wrote a couple of weeks ago that we simply could not believe he would speak aloud. After years of successfully hiding the cost-cutting agenda that is partially behind the move to legalize assisted suicide, he let it slip in an interview published online July 18, 2011 at http://www.addisonindependent.com/201107editorial-political-pragmatism-key-vts-health-care-reform. The editor says Kimbell told him that legalizing assisted suicide would be helpful in cutting health care costs in Vermont. As far as we know, Kimbell himself has not confirmed or denied his statement. Not for the first time, we invite him to do so, quickly. In Oregon, where assisted suicide is legal, cost cutting by a state health plan severely impacted the freedom of choice of at least two people. Barbara Wagner and Randy Stroup wanted to treat their cancers, but Oregon’s Medicaid program denied their requests for coverage for life-prolonging medication recommended by their doctors. The letters of denial, however, offered coverage for assisted suicide (http://www.pccef.org/articles/art67.htm). As the pro-assisted suicide blogger Ira Rosovsky wrote on May 22, 2011: “Suicide is the ultimate medical utilization cost saver (http://www.psychologytoday.com/blog/adventures-in-old-age/201105/assisted-suicide-in-the-united-states-go-west-old-man). We wonder if our Vermont legislators know about Kimbell’s statement. Perhaps it is time to email our legislators making sure they do know and letting them know as well that cost pressures plus legal assisted suicide produce a very dangerous combination that threatens death with true dignity and destroys patient choices at the end of life. The emails of our representatives and senators can be found at http://www.leg.state.vt.us/legdir/legdirmain.cfm. 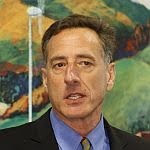 In January I published a blog article connecting Vermont Governor Peter Shumlin's health care policy and his push to legalize assisted suicide. I have always stated that when health care rationing and the suicide lobby join forces that the end result will be a forced exit for those who are sick and vulnerable. The suicide lobby will argue that assisted suicide is about choice, but when the "bean counters" join the fray, it becomes a further reason why choice is an illusion. Montana Against Assisted Suicide attending local fairs. Bradley Williams and his team of volunteers with the Montanans Against Assisted Suicide have been taking their message to the people by having a booth at the local fairs in Montana. Marielle Gallagher met Bradley at a local fair and wrote a good article for the Missoulian that was published yesterday. The Commercial Building at the Western Montana Fair has a new booth: Montanans Against Assisted Suicide. According to its website, Montanans Against Assisted Suicide and For Living With Dignity "welcomes everyone opposed to assisted suicide, regardless of your views on other issues." ...The group's goal at the fair is making assisted suicide illegal in Montana. Regardless of one's opinion on the subject, the attention the booth has already begun to receive at the fair is undeniable. Bradley Williams currently coordinates the effort. This includes tasks as large as a trip to a legislative session to discuss his cause, which he describes as being "full of representatives who were receptive, gracious, and sincere," and as small as manning the organization's booth at the fair, where he offers information on the case against assisted suicide. This is a huge shift from Williams' involvement three years ago. He first took notice of the issue in 2008, when a state judge declared that dying with dignity was a constitutional right and physicians could prescribe lethal doses of medication to terminally ill, mentally competent patients. "I thought a citizen's duty was to pay taxes, vote, attend jury duty," said Williams. "But that was the catalyst that made me realize it was also important to be involved in public discourse." According to Williams, the definition of someone who is terminally ill - and thus eligible for assisted suicide - is too broad, and the potential for elder abuse too great, for aid in dying to be legal. One of the arguments used by proponents of the cause is that allowing someone to suffer unnecessarily is inhumane. Williams counters that "the science of pain control is developing as quickly as computer technology." 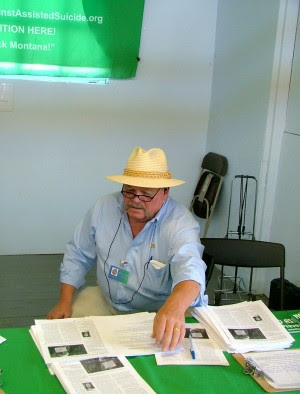 Tuesday afternoon, the first day of the fair, a woman approached the booth and began looking through a list of talking points lying on the table. Several more people paused to look over the information. Please read the following article concerning assisted suicide in Montana. An article by Margaret Dore on assisted suicide in Montana. In the past few weeks, one new group and two new websites have been launched. The Choice is an Illusion website http://www.choiceillusion.org/ provides arguements and talking points against legalizing assisted suicide and it has up-to-date information about what is happening in the United States. Choice is an Illusion also features important articles concerning Oregon and Washington states and it effectively explains why assisted suicide is not legal in Montana. The Choice is an Illusion - non-profit corporation that is led by Margaret Dore, Seattle Attorney, myself and Dr. William Reichel, will maintain the website and help to direct people to an effective response to the push, by the suicide lobby to legalize assisted suicide. The Montanans Against Assisted Suicide have also launched a new up-to-date website: http://www.montanansagainstassistedsuicide.org/. This site explains the current legal status for assisted suicide in Montana and it focusses on the work of the Montanans Against Assisted Suicide, who have been building a grass-roots campaign in Montana. For those who are not yet aware. My blog www.alexschadenberg.blogspot.com is regularly updated with information and commentary. Please put these websites in your favorites section of your web browser. 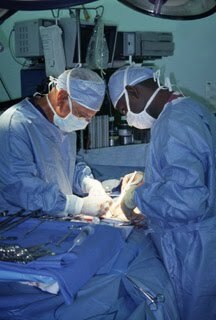 On June 29, 2011; the Ontario Court of Appeals unanimously upheld the Rasouli decision by Justice Himel requiring doctors to obtain consent before withdrawing life-sustaining treatment. The Euthanasia Prevention Coalition (EPC) successfully intervened in the Rasouli case and many of the legal comments in our intervention were used in the Appeals Court decision. Link to the EPC media release concerning our successful intervention in the Rasouli decision. It is important to note that in Ontario a Consent and Capacity Board exists to make decisions based on the "best interest" of a person, when a disagreement exists between a doctor/health care institution and a patient or the substitute decision maker. Therefore the Rasouli decision did not create a problem for when a medical decision, that is in the best interest of the patient, needs to be made and a patient or a substitute decision maker refuses. EPC originally thought that if the doctors lost their appeal, that they would once again appeal the decision, but when the Ontario Court of Appeal unanimously upheld the Himel decision, we were hopeful that the doctors would accept the decision. Now that the doctors have appealed the decision to the Supreme Court of Canada, EPC will once again prepare an intervention based on the reasons that the doctors provided for their appeal. The case was heard over three days in February and March (2011) and the decision by Justice Himel was released on March 9, 2011. The Himel decision. Link to a previous blog comment concerning the Rasouli case. The Rasouli decision was a huge victory for individual rights and it assured that the rights of individuals would be respected. The Rasouli decision maintained the role of the Consent and Capacity Board. Doctors continue to have the right to seek consent from the Consent and Capacity Board when consent is refused by the person or the attorney for personal care. Link to the Toronto Star editorial concerning the Rasouli decision. EPC is concerned that if the Rasouli decision is overturned that vulnerable Canadians will be denied Life-Sustaining treatment or care, against their wishes or consent. The definition of Life-Sustaining Treatment or care includes fluids and food, ventilators and anti-biotics. Ottawa will not legalize euthanasia or assisted suicide. Canada's Justice Minister Hon. Rob Nicholson, was asked by the media what the government will do in response to the court cases in British Columbia that are attempting to strike down, through the courts, Canada's laws that protect people from euthanasia and assisted suicide. Nicholson told reporters that Parliament has passed judgment on the issue of euthanasia, and will not soon return to the matter. He was referring to the defeat of a bill on euthanasia and assisted suicide introduced by veteran Bloc Québécois MP Francine Lalonde, but defeated 228 to 59 in May, 2010. In other words, the government of Canada has no plans to legalize euthanasia or assisted suicide. The BC Civil Liberties Association is representing Gloria Taylor and the family of Kay Carter. The case is attempting to legalize euthanasia and assisted suicide through the courts. The euthanasia lobby has been unable to legalize euthanasia and assisted suicide through parliament by democratic means and have therefore decided to circumvent the power of parliament by convincing the courts to strike down the laws the protect Canadians from euthanasia and assisted suicide. An article by Kyle Cheney and published on Boston.com indicates that the assisted suicide lobby are collecting signatures for an assisted suicide initiative in Massachusetts for the November 2012 election. Voters may be asked to determine the fate of a proposal permitting dying patients to take life-ending drugs, a wrenching issue that backers say is a matter of dignity for the terminally ill but that opponents have warned is fraught with the potential for error. Backers of assisted suicide for certain terminally ill patients filed paperwork yesterday with Attorney General Martha Coakley to begin the process of bringing their plan, dubbed the Death With Dignity Act, to the 2012 ballot. The proposed law asks voters to recognize that it is in the public interest to permit patients “with a terminal disease that will cause death within six months’’ to obtain drugs to “end his or her life in a humane and dignified manner.’’ The plan also requires the patient to be capable of making medical decisions and to consult with physicians. “It is further declared that the public welfare requires that such a process be entirely voluntary on the part of all participants, including the patient, his or her physicians, and any other health care provider or facility providing services or care to the patient,’’ according to the text of the proposal. Only two states, Washington and Oregon, have legalized assisted suicide. To reach the ballot, backers must have the language of their plan certified by Coakley, who has until early September to make a determination. Then, proponents must gather 68,911 signatures by mid-November. If the signature drive succeeds, lawmakers have until May 2012 to back the proposal, offer an alternative, or permit the plan to go to the ballot unaltered. Barring legislative intervention, backers would need to collect an additional 11,485 signatures before sending the plan to voters in November 2012. Representative Louis Kafka, Democrat of Stoughton, filed a bill earlier this year that resembles the assisted suicide ballot proposal, and he said a ballot push could draw attention to the issue. "Michael Clarke of Hancock Street in Quincy is the group’s political consultant. Clarke most recently worked as a finance director on U.S. Rep. William Keating’s successful election campaign last fall. Clarke declined to comment on the initiative. If the signature drive succeeds, lawmakers have until next May to back the proposal, offer an alternative or permit the plan to go to the ballot undeterred. Barring legislative intervention, backers would need to collect an additional 11,485 signatures before sending the plan to voters in November 2012." The suicide lobby in the United States has been busy polling and raising money in order to put assisted suicide on the ballot in several US States in November 2012. In 2008, Washington State passed Initiative 1000. The suicide lobby raised more than $5.5 million in their campaign to legalize assisted suicide. BC Court fast-tracks challenge to assisted suicide law. Justice Lynn Smith, a BC judge, has agreed to fast-track a challenge to Canada’s assisted suicide statute by the BC Civil Liberties Association (BCCLA) who are representing Gloria Taylor and the family of Kay Carter. The Euthanasia Prevention Coalition, (EPC) founded in 1998, is a unified coalition of groups and individuals dedicated to preventing the legalization of euthanasia and assisted suicide and promoting measures to ensure that everyone receives the necessary care to live with dignity. EPC recognizes that people with ALS and other life-threatening and chronic conditions need excellent care but giving doctors the right to prescribe suicide is not the answer. Last year, Canada’s parliament rejected a bill to legalize euthanasia and assisted suicide by 228 to 59. It appears that the right to die lobby has decided to convince the court to legislate rather than to work in the political arena. We ask the question, how much collateral damage are Canadians willing to accept? EPC supports providing the necessary care for people living with disabilities, chronic or life-threatening conditions. Negative social attitudes that exist toward people with disabilities and the growing scourge of elder abuse, indicates a greater threat to people who are made vulnerable by their life circumstances. EPC is seeking intervention status in the BCCLA (Carter/Taylor) court case. 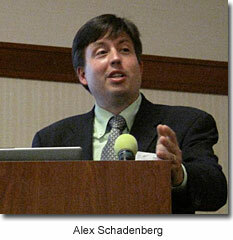 Alex Schadenberg, Executive Director, EPC (London) (519) 851-1434.